Black is considered inauspicious color by many communities, however it can signify elegance, when used in right manner. 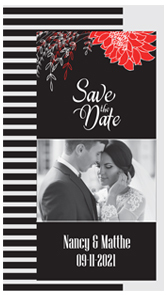 A custom 3.5 x 2 inch black stripe pattern wedding save the date square corner magnet typically signifies that elegance. Couple who love to experiment with myriad of colors in a spectrum can find it easier to work out with this magnet. 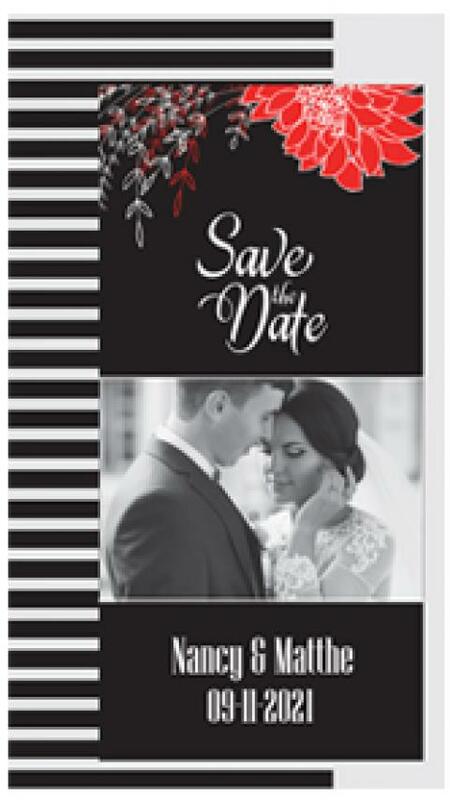 Personalized 3.5 x 2 inch black stripe pattern wedding save the date square corner magnet prominently shows up against a refrigerator door and is good enough to trigger nostalgic memories within a person.